I am a San Francisco Bay Area-based content marketing writer, copywriter, and reporter. I have nearly 20 years of experience as a freelance writer for magazines, custom publications, and other mediums. Do you need cool and conversational, or authoritative and professional? Whether I’m creating articles for your custom magazine or website, a series of blog posts, or an in-depth white paper, case study, or eBook, I write with your brand’s voice and audience in mind. I also work to ensure high-quality, engaging content—always on deadline. I work with small businesses, large companies, and marketing and public relations firms. Recent clients include Bank of America, Morgan Lewis LLP, RE/MAX, Mended Hearts, Spectrum Retirement Communities, and numerous Chambers of Commerce and Economic Development agencies. Visit my content writing portfolio and copywriting portfolio pages for recent clips. If you want to generate leads or grow sales, you don’t need clever copy. You need clear, impactful copywriting. As a copywriter, I arrange words that inspire results. I have written web content for Finance of America Reverse, Stanford Health Care, and Kissimmee, Florida’s Department of Tourism. Life sciences consulting firm Maetrics called on me for brochure copy, landing pages, newsletter copy, and metadata. I also create direct mail copy, ad copy, sales letters, and more. 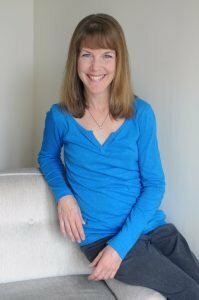 A freelance writer since 1999, my work has appeared in MD+DI, Running Times, Triathlete, Runner’s World online, Mix, Live Happy, Gluten-Free Living, Oakland magazine, and Where San Francisco, among others. Born in Akron, Ohio and raised in Nashville, I moved to San Francisco with my cat, Soleil, on April Fool’s Day 2003. Now firmly planted in Oakland, you can find me meandering around Lake Merritt or running or riding through the Oakland hills. Follow my blog about Duathlon at duitforyou.com. Need a reliable content marketing writer or copywriter that delivers quality work? Get in touch.